The following are some of the most common questions asked by individuals seeking various cosmetic procedures. These questions are intended to supplement your own research & compliment the advice of a medical professional. What makes The York Plastic Surgery Centre the best choice for cosmetic surgery? How are we above the crowd? We are among the top 10 clinics in Canada by volume of implants inserted yearly, according to our breast implant supplier. We specialize in and conduct a high volume of body contouring surgeries. We have a patient centric focus where patient education, safety and overall patient care is paramount. Dr. Andrade conducts all consultations before surgery, he personally calls patients the evening after surgery, our nurses follow up the next business day to make sure patients are recovering well, and Dr. Andrade personally sees surgical patients at all of their post operative appointments. Dr. Andrade trained at U of T, learning the same skills and techniques as the heavily-marketed surgeons in Toronto. Our beautiful clinic is conveniently located right off Highway 404 in Newmarket, only 15 minutes north of Highway 407. Parking is free. Our fees are often thousands of dollars lower than comparable procedures done in Toronto, by a surgeon with similar experience. Why pay more just to cover a Toronto surgeon’s high overhead and marketing budget? Am I a good candidate for a cosmetic procedure? This topic will be covered during the initial consultation with Dr. Andrade this topic will be covered. The best candidates for cosmetic plastic surgery (such as breast enlargement, breast lift, tummy tuck) are those seeking to match their outer physical appearance with their positive self image. Treatments to diminish the appearance of facial wrinkles are a good solution for people wishing to decrease the appearance of early facial aging, without the downtime of a surgical procedure. It is important that individuals considering these procedures have expectations that are realistic. Facial procedures (facelift, eyelid surgery, Pelleve wrinkle treatment system) are suitable to improve the overall balance and proportions of the face. Body contouring procedures (mommy makeover, liposuction, arm reduction / brachioplasty, thigh lift, breast lift / mastopexy) are best reserved for patients close to their ideal weight and are still not satisfied with their appearance. These procedures are designed to complement a healthy lifestyle including regular exercise and balanced diet. Patients seeking cosmetic surgery come from all walks of life. Most people do not seek perfection but want to feel more comfortable with their overall body appearance. It is esssential to discuss your expectations with Dr. Andrade to ensure that your goals can be achieved. We have posted the typical cost of a wide variety of procedures at the clinic, under “Financing/Pricing”, but you are also encouraged to call the clinic if you have other specific questions. Common inquiries include: “Do different implants affect the cost of breast augmentation surgery?” “How does pricing of liposuction work, by the region or time involved?” “What is the cost combined procedures, like mini tummy tuck plus breast implants?”. The staff at Reception will be happy to answer your questions. It is important to understand that a proper consultation is required before an exact quote can be provided. Every patient is unique; factors that affect the final cost include time required to do the operation, whether the patient requires admission to hospital (for medical reasons or personal preference), and if any unique postoperative care is required. The initial consultation with Dr. Andrade costs $100 + HST but this can be applied as credit toward any product purchased in the clinic (scar gel, cosmetic products, etc) or any surgery or other treatment that the patient decides to book. After the first visit, all preoperative assessments and follow-up visits are free of charge. 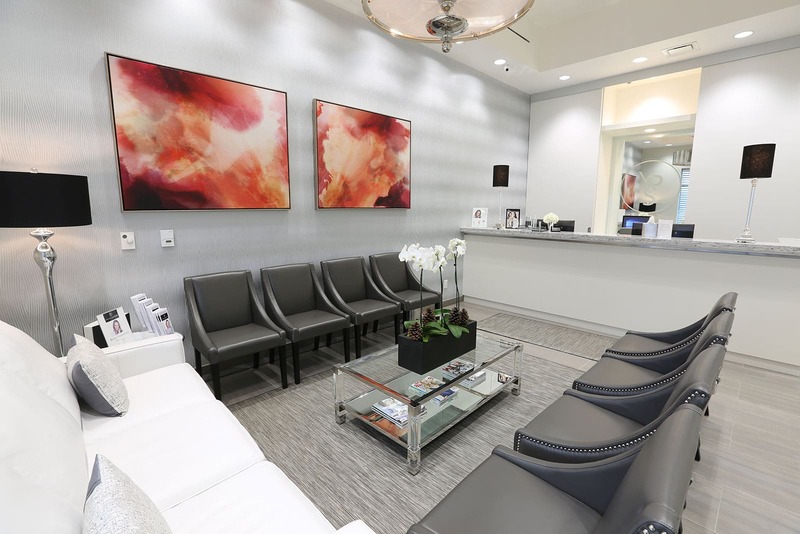 We charge a clinic fee because, unlike some clinics where minimal time is actually spent with the surgeon, Dr. Andrade personally ensures that all patients are well-informed and their goals are understood. Clients who do not attend their appointment will be charged a rebooking fee. However, this fee can easily be avoided by simply calling the office in advance to let us know you have decided not to have a consultation..
A typical cosmetic consultation takes 30-45+ minutes, much of the time spent in personal consultation with Dr. Andrade. Important details include specific goals, medical history, thorough physical examination, and a discussion of the operation, risks and healing time. For patients seeking breast enhancement, Dr. Andrade has implant sizers and Vectra 3D imaging to assist with selecting the size and type of implants. Occasionally more than one appointment is required to fully establish the surgical plan, in which case there is no fee for subsequent appointments. Will people notice the change in my appearance? Depending on the procedure, the change in a patient’s appearance can be subtle or profound. The ultimate goal of Dr. Andrade’s cosmetic surgery practice is to make a positive change which is still in harmony with your overall appearance. In general, patients usually recover from minor procedures (cosmetic mole removal, Botox, treatment of facial wrinkles) in a few days or less, although depending on the procedure some after-care or activity restrictions might be in effect.. For more complex procedures (eg. breast implants, tummy tuck, mommy makeover) it can take several weeks for the majority of bruising and swelling to resolve. The final contour improvement of a cosmetic surgery procedure like a tummy tuck can take 6 months or longer, and scars typically fade for at least 12-18 months. With patience, the majority of people are very satisfied with the final result. Dr. Andrade will provide a general timeline for recovery including time off work, return to vigorous exercise and sports, and other activities. However, as with any surgical procedure, every patient heals uniquely so the exact recovery time cannot be predicted. Prior to having any surgical procedure, be sure you understand the risks, benefits, and recovery time. Dr. Andrade has posted this information regarding commonly performed operations at the clinic, and he encourages patients to read about their procedure in advance. During the consultation there is ample opportunity for him to explain all of these issues and for questions to be answered. Always ask your plastic surgeon about their experience with complications and how they would manage a problem in the unlikely event that it should happen. It is important that your surgeon has admitting privileges at a hospital in the vicinity where you have surgery, to ensure that you can receive appropriate care if necessary. Where can I learn more about plastic surgery? Other product-oriented websites may be of some value but be sure to meet with a qualified plastic surgeon to discuss the specifics of your needs. The specialty of Plastic Surgery encompasses many subspecialties including pediatric surgery, burn surgery, microsurgery, reconstructive surgery, cosmetic surgery, and hand surgery. All physicians in Canada with the designation “Plastic Surgeon” must have completed four years of medical school training followed by at least five years of specialty training in Plastic Surgery. Dr. Andrade is a certified Plastic Surgeon who received his training in the Division of Plastic and Reconstructive Surgery at the University of Toronto. He is certified by the Royal College of Physicians and Surgeons of Canada, the College of Physicians and Surgeons of Ontario, the Ontario Medical Association and the Canadian Medical Association. He is a member of the Canadian Society of Plastic Surgeons, the Canadian Society of Aesthetic Plastic Surgeons (CSAPS), the American Society of Plastic Surgeons (ASPS), and the International Confederation for Plastic, Reconstructive and Aesthetic Surgery (IPRAS). How do I Choose a Good Plastic Surgeon? How do I Choose the Best Plastic Surgeon? How do I Choose the Best Plastic Surgeon Near Me? – First, ask if the surgeon is a Board Certified Plastic Surgeon. General Surgeons who perform plastic surgery don’t have the same training for cosmetic procedures. – Make sure you meet your surgeon before your surgery date. Cosmetic consultants and salespeople who people meet for consultations do not have the expertise to do a thorough assessment before your surgery. Does Dr. Andrade perform the 24 Hour Recovery Breast Augmentation? The “24 Hour Recovery Breast Augmentation” is a marketing statement that is misleading and creates unrealistic healing expectations. Surgeons who claim that you are able to “shop and go back to work the next day” are downplaying the potential complications that can arise when patients over-exert themselves before they are ready.. No surgeon can change the fact that breast tissue takes weeks to months in order to fully heal after surgery. Many of Dr. Andrade’s patients report that they are feeling well with only mild symptoms within the first few days of surgery; however, each person is unique and will recover at their own pace. People need to be mindful of their limitations after surgery and modify their daily at home and work activities to minimize complications and injury. Dr. Andrade uses the latest techniques in breast augmentation to minimize bleeding and bruising. Some steps to a quicker recovery include a Keller funnel that inserts the implant through a smaller incision and with less stress on the implant, no blunt dissection in order to make a precise implant pocket with less bleeding,, a layered wound closure to minimize tension on the scar and multiple steps to decrease the risk of infection. These include intravenous antibiotics administered during surgery, soaking the implant in antimicrobial solution, minimal implant handling (termed the “no-touch technique”), and antibiotic-treated sutures to close the incision. Breast augmentation consultations always involve Dr. Andrade’s direct input, not simply a meeting with a cosmetic consultant or nurse. He does not offer virtual consultations because a proper, in-person physical examination is required to determine skin tone, breast tissue quality, and to obtain accurate measurements. This enables Dr. Andrade to help patients select implants that are a good fit for their breast type and overall body proportions. Our priority is patient safety and goal is to deliver the very best in patient care before, during and after surgery. Where would the procedure take place? 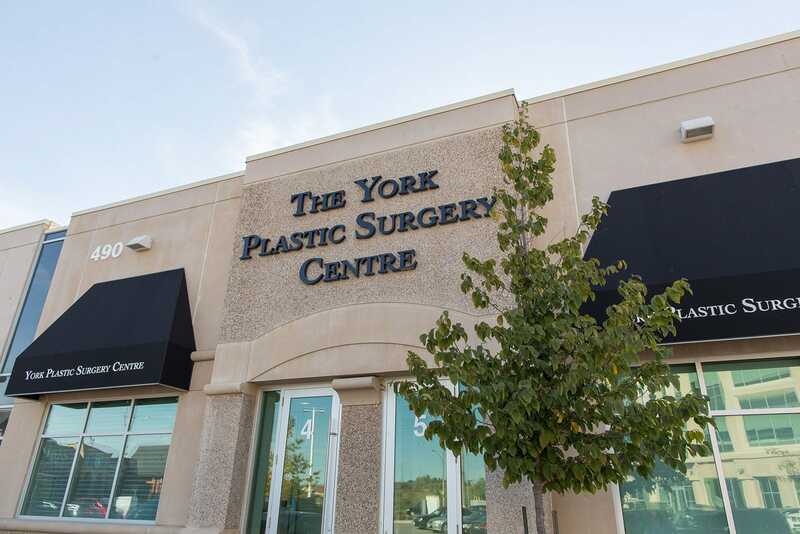 Initial consultations take place at Dr. William Andrade’s clinic, The York Plastic Surgery Centre. The facility is conveniently located near the Mulock exit of Highway 404 to provide Plastic Surgery procedures to Newmarket and the surrounding communities of Aurora, Bradford, Barrie, Innisfil, Uxbridge, Schomberg, Orangeville, Richmond Hill, Markham and north Toronto. 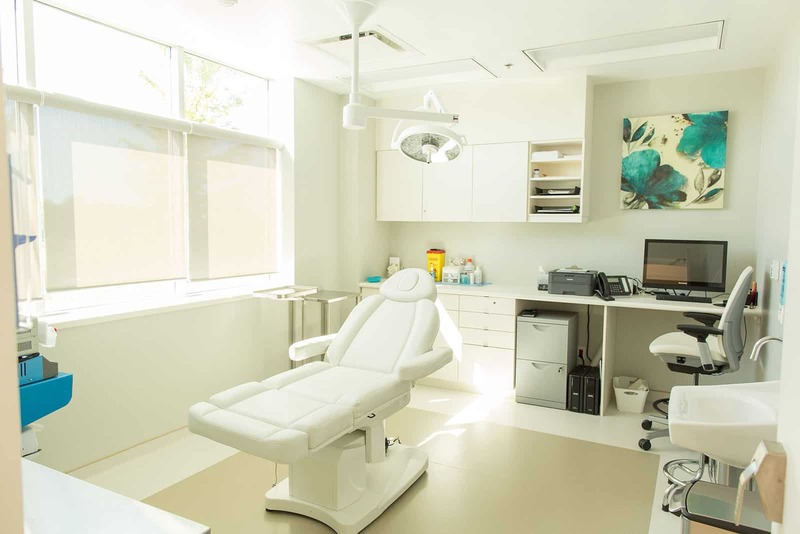 Many procedures can be undertaken on-site in a private operating room at Dr. Andrade’s suite. Operations such as mastopexy, augmentation-mastopexy, abdominoplasty, belt lipectomy and other procedures requiring sedation or full general anesthetic are performed with a FRCSC Anesthesiologist and Registered Nurses/RPNs with appropriate OR, PACU, BLS and ACLS training. Depending on the specific procedure and preference of the patient, Dr. Andrade also has full admitting and operating privileges at Southlake Regional Health Centre in Newmarket, ON. This hospital has achieved one of the highest ratings for patient satisfaction of any facility in Ontario. How Much Does Breast Augmentation Cost? How much do Breast Implants Cost? Dr. Andrade’s prices are extremely competitive and are often thousands of dollars lower than comparable procedures done in Toronto, by a surgeon with similar training and experience. Why pay more just to cover a Toronto surgeon’s high overhead and marketing budget? How Much Does a Breast Lift Cost? How Much Does a Mastopexy Cost? How much Does a Male Breast Reduction Cost? How Much Does Gynecomastia Cost? Dr. Andrade’s price for Gynecomastia surgery is $7,000 which includes liposuction and/or excision of excess breast tissue, compression vest and scar gel. How much Does a Tummy Tuck Cost? How much does a Mini Tummy Tuck Cost? Dr. Andrade’s prices are extremely competitive and are often thousands of dollars lower than comparable procedures done in Toronto, by a surgeon with similar training and experience. Why pay more just to cover a Toronto surgeon’s high overhead and marketing budget. Full Tummy Tuck Cost: $7,900 which includes 3 in-home nursing visits. Liposuction extra. In-Hospital stay extra. How much does an Arm Lift or Brachioplasty Cost? How much does Upper Eyelid or Blepharoplasty Surgery Cost? Dr. Andrade’s cost for Botox is $9.00 per unit – injected by a highly qualified, experienced nurse injector. How Much does Filler Cost? Dr. Andrade’s cost per syringe is $550($50 off the 2nd syringe) for all Juvederm products including: Juvederm Ultra, Juvederm Ultra Plus, Voluma, and Volbella. What is a Soft Lift? What is a Soft Lift for Facial Rejuvenation? “Soft Lift” is a marketing term sed to describe facial rejuvenation through the use of Botox and Fillers. The term “Soft Lift” refers to methods used cosmetically to contour the face to reduce the signs of aging on the face. Our skin’s elasticity and fullness is reduced as we age – the “Soft Lift” will give you a more rested and youthful appearance without surgery. Dr. Andrade’s nurse injectors are highly trained and experienced. Every 3-4 months they receive training to keep up to date on the latest advances and techniques in the use of facial injectables. 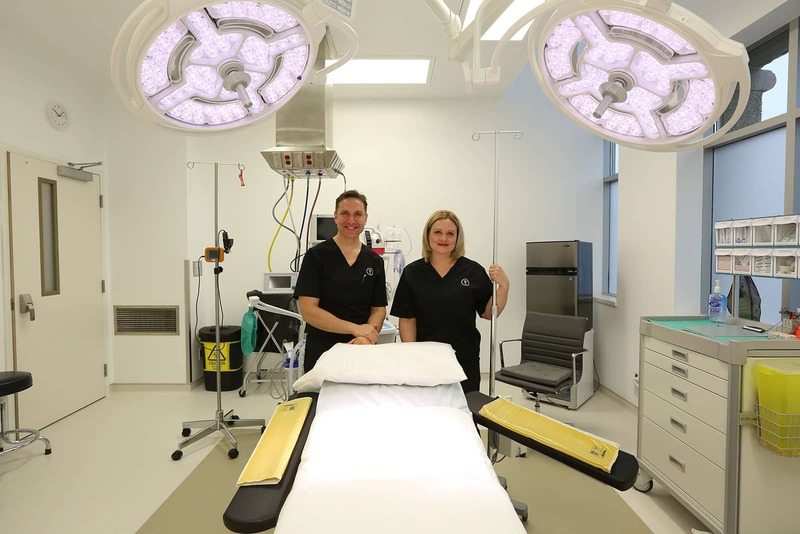 Patients can also be assured that The York Plastic Surgery Centre is a state-of-the-art clinic with the highest Ministry credentials for patient safety, patient care, and staff training.